Clive is the Chairman of Directors at Stephenson Smart, based at the King’s Lynn office, and is the longest serving accountant at the firm having joined in 1974. He is past president of the East Anglian District Society of Chartered Accountants and was previously a member of the Small Practitioners Committee of the Institute of Chartered Accountants of England and Wales. He became a Freeman of the City of London in 2016, and a member of the Livery of Chartered Accountants of England and Wales, of whom there are only 350 nationwide, in 2018. Clive works for a wide portfolio of clients, and specialises in medical consultants, the fishing industry, and advises on capital gains and inheritance tax. Clive is also head of our legal practice and is qualified in probate and estate administration. 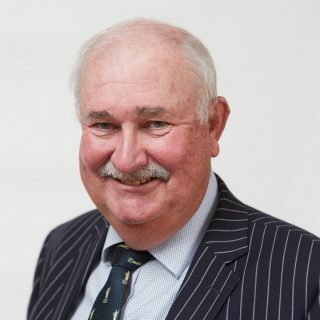 Clive is a trustee of the Duke of Edinburgh Awards Scheme in West Norfolk, chairman of the local Princes’ Trust, and the director of a motor insurance underwriters in Malta. He is also treasurer of West Norfolk Rugby Union Football Club and a member of MCC. Formerly a keen hockey player, Clive’s primary sporting interests are now horse racing and golf.